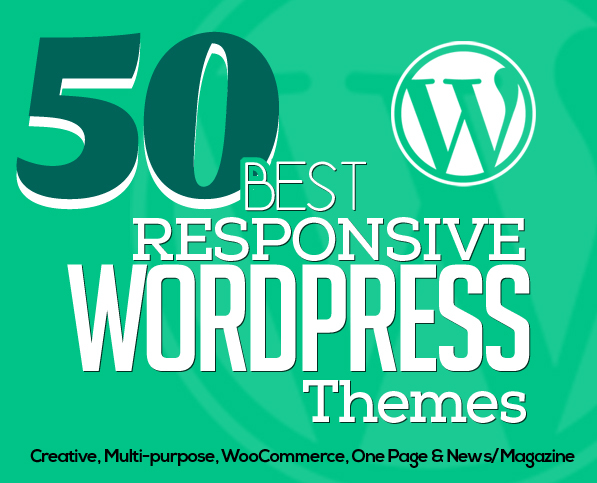 50 best responsive WordPress Themes, this is a Big list of Creative, Responsive, Multi-purpose, WooCommerce, One Page and News/Magazine Themes. With these WordPress themes, you can create any kind of website you wish for, with the power of HTML5, CSS3 and SEO features, the only limit is your own imagination. Responsive WordPress Themes are created for many different kinds of businesses and blogs such as Agency, Business, Corporate, Portfolio, Freelancer, Architecture, Vintage, Studio, Presentation, Freelancer, Shop, Vintage, Blog and any online site you want. All themes are fully Responsive and build with latest technologies and easy for everyone to use, smoothly present on every size of smart screen devices. Squarer is a complete portfolio for creative agencies, freelancers, Graphic designers, illustrators, photographers or any kind of creative worker are now able to create a quick & easy portfolio to showcase of their work with an elegant touch. Aravt is a Creative, MultiPurpose theme that fits any type of sites, including Corporate, Blog, Portfolio, Grid and Creative sites. We’ve inserted 7 completely different Home pages and 5 creative pages for your taste into the demo site those presents power of the template and you can mix them and build your own. Octopus is a Modern Multipurpose Business WordPress Theme suitable for any type of website, personal, business or corporate use. With a perfect and impress design, Octopus comes to customers with a modern look, eye catching and friendly. Flora – High Performance WordPress Theme with Hardware-Accelerated CSS, comes with a smart theme options so you can easily customize every aspect of your site with just a few clicks. Easily create responsive pages and posts with the most popular Drag & Drop Page Builder, Visual Composer. Dezert is an WordPress eCommerce theme built on both WP EasyCart and WooCommerce platforms, powered by the famous content editor Visual Composer and Revolution Slider. Glorious is WordPress ecommerce theme based on WooCommerce plugin. This theme suitable for fashion design, electronics, mobile, foods, jewellery, tools, auto & spare parts and multi purpose stores. It is also multipurpose theme which can be used for any kind of online store. Soffia is an Responsive Multi-Purpose WordPress Theme that is extremely customizable, easy to use and fully responsive. Suitable for every type of business, portfolio, blog and ecommerce sites. Great as a starting point for your custom projects. Soffia includes 6 homepage layouts and skins and it has huge variation to be suitable for any purpose. Milano – Responsive WooCommerce Theme is suitable for fashion and other web shop. We have included multiple layouts for home page, blog page to give you best selections in customization. Space – Minimalist, Clean WooCommerce Theme. It comes with a lot of great features that would take you months to develop. It is fully responsive, it looks stunning on all types of screens and devices, flexible layout easy to change header layout, footer layout, product detail page layout, category page layout suitable with online furniture store, handmade store, fashion store and digital store. Leka WordPress WooCommerce Theme has ideas and inspiration for all types of ecommerce stores, including: Fashion, Shoes, Jewelry, Watch, Hi-tech,…and more. Based on the latest Foundation technology, this WordPress WooCommerce theme its self prides its unrivalled responsiveness and mobile-friendliness. Omni is a one page creative, clean and moder WordPress theme. Our Theme is fully responsive and easily customizable. Perfectly suits for applications, devices, software, development, promo companies and for landing pages as well. You will find many uses for this theme. Amilia is a cross browser compatible, retina ready, responsive WordPress theme with touch support that features a clean and design that is multi-purpose theme which is suitable for a wide variety of websites. Tons of Customizations are possible with this template that’ll help you redefine your website’s brand value. Easy-to-Use Powerful Admin Interface,One-click import of demo site, Loads of home and inner pages, Multiple Header Types, Multiple Header Behaviors, Sticky header, Fixed header, Sticky on scroll up header, Styling options for elements, Fully responsive, Powerful post layout options, Unlimited layout combinations, 12 home examples and many more features. Maxi is a flexible and solid WordPress theme, perfect for any news or online magazine website. Maxi theme comes with a lot of beautiful custom templates for popular Flexible Posts Widget and with handy Text Ads custom widget. Axon is a minimal and unique and bold magazine and blog theme, designed to showcase your content in an effortlessly timeless style and is very important that axon can share post type to social media like Instagram, twitter and etc with easily. Hotmag is a responsive and retina ready news and magazine wordpress template. It is intuitive and friendly for beginners but it also allows professional users to create some amazing stuff. Backend options allow you to easily adapt the template for your personal needs.